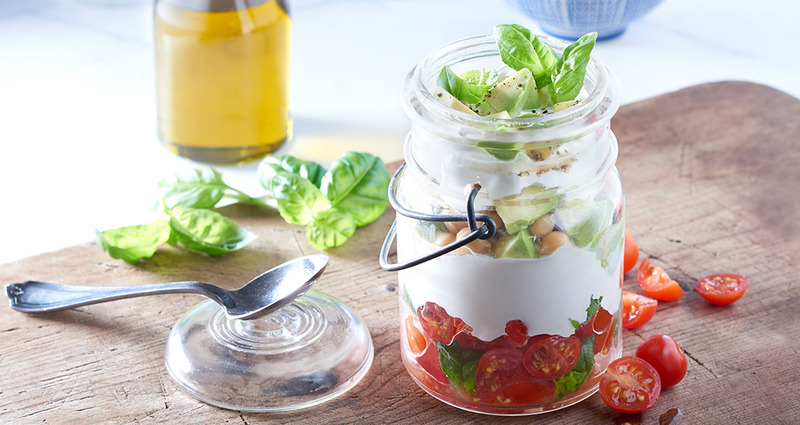 To a jar, add chopped cherry tomatoes and basil leaves. 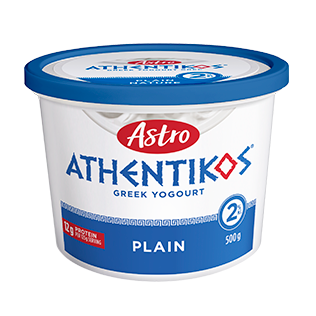 Add ½ cup Astro Athentikos Greek Plain 0% yogourt. 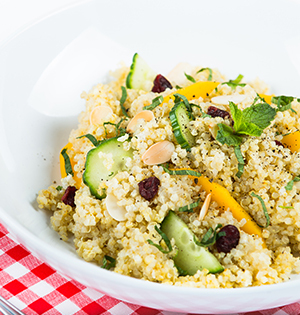 Add a layer of chickpeas and avocado slices. 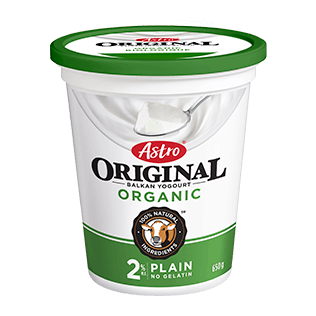 Add ½ cup more of Astro Athentikos Greek Plain 0% yogourt. 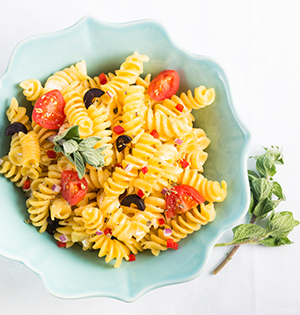 Top with avocado slices, sea salt, cracked pepper and a drizzle of olive oil, and garnish with basil leaves.